Along the Studio Backlot Tour in Disney’s Hollywood Studios, guests pass through prop warehouse that is filled with pieces of film history, both little and large. Once upon a time, taking a trip through the movies with the backlot tour meant a stopover in Marvin Acme’s warehouse from Who Framed Roger Rabbit. While Marvin’s influence on the park has diminished, it doesn’t mean that it’s gone for good! Inside the prop warehouse of the Studio Backlot Tour sits a grouping of boxes labeled Eye Balls from the ACME company. As it turns out, these gag eye balls played a critical role in the finale of Who Framed Roger Rabbit. 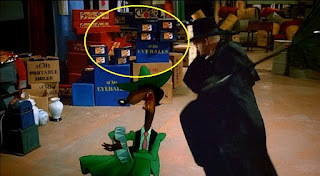 After having his hand caught in a bear trap, a trap that was concealed on Jessica Rabbit, the weasel known as Greasy is sent flying into a stack of Eye Balls, Curve Balls, and Singing Swords by Judge Doom in Acme’s warehouse. The eye balls are sent flying in every direction and will cause the Judge to take a spill a few moments later, sending the weasel’s into a laughing fit. 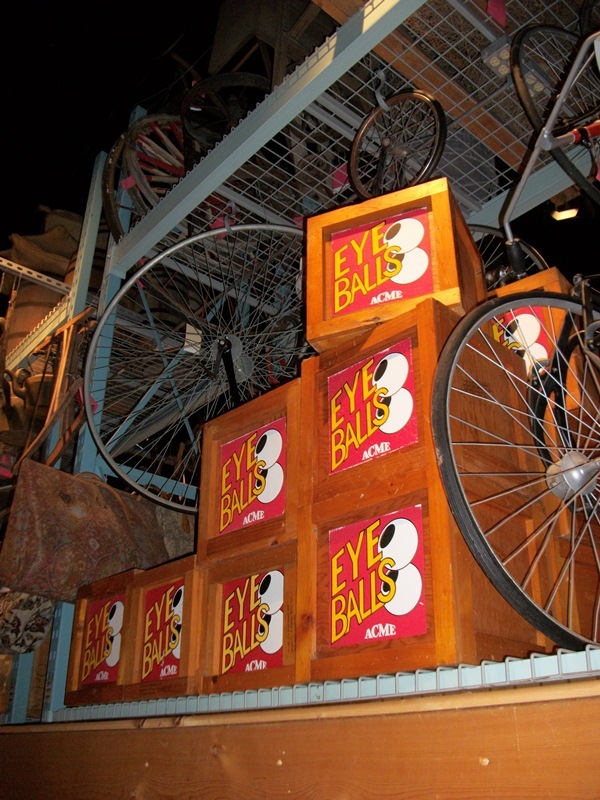 While the boxes are slightly different, plain wood instead of the navy blue seen in the film, the logo for the Acme Eye Ball remains the same. Roger Rabbit and his companions once held court in every corner of Disney’s Hollywood Studios, known then as Disney-MGM Studios, and while those days may only be memories now, the toons have still left a few of their gags around the park!